Do you need an insulation contractor in Maryland, serving the Washington, DC metropolitan area? Make Accurate Insulation your first call. 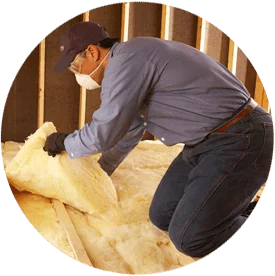 We work with homeowners and builders/contractors to install loose-fill insulation in homes and commercial buildings, for both retrofit and new construction projects. Contact us at 301-358-6411 if you’re ready to begin your project, or keep reading to learn more about loose-fill insulation! Also referred to as blown-in insulation, loose-fill insulation is installed with a blowing device and is filled into wall cavities and other areas. It can be installed in various areas of the home, from walls to the attic. 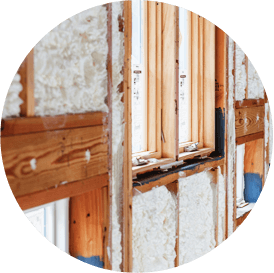 The Accurate Insulation team uses blown-in insulation for retrofit (re-insulation) and new construction projects. We have experience with both commercial and residential projects and can install fiberglass and cellulose in walls, attics and crawl spaces. If you need to install blown-in, or loose-fill, cellulose insulation in your home or commercial building in the Greater Washington-Baltimore area, Accurate Insulation can help. Contact us to learn more about our insulation services or if you’re ready to start your project—301-358-6411!